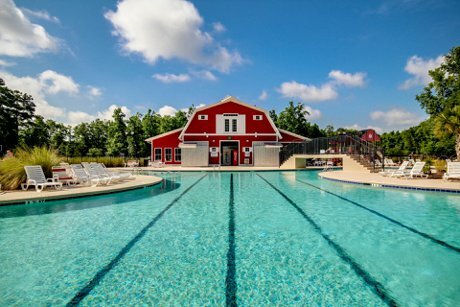 The Farm at Carolina Forest is a wonderful community for you and your family! Developed and built by DR Horton™, The Farm is one of the largest neighborhoods in the Carolina Forest area. The community offers some of the best amenities and one of the finest locations in all of Carolina Forest. It is located just on the other side of the Intracoastal Waterway less than five miles to the beach, less than a mile to Highway 31, within walking distance to the new Ocean Bay Elementary and Middle Schools, and close to the Food Lion shopping center and Forest Crossing. 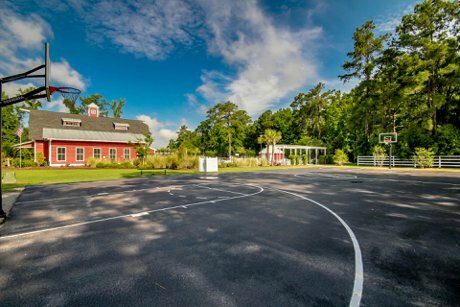 The 8,000 square foot pool and community clubhouse are very family oriented with a large sand filled playground area, full court basketball, and more. 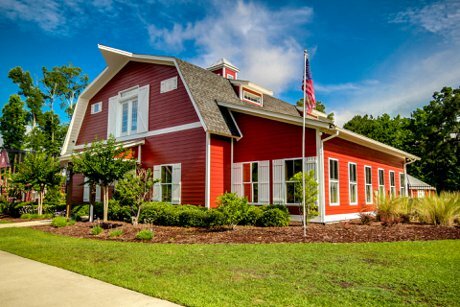 Inside the barn themed clubhouse is a large area for social gatherings, a fitness center, and ping pong table. Throughout the neighborhood are bike paths, and wide sidewalks. There is also a smaller pool overlooking a lake. The Farm at Carolina Forest homes for sale offer a number of different floorplans ranging from three to seven bedrooms. Many of these homes have upgrades such as large bonus rooms, Carolina rooms, hardwood floors, granite countertops, and much more. First floor master bedrooms are also popular in the neighborhood. Some homes also provide great views of lakes or back up to protected wetlands. New homes are still being built in The Farm so if you cannot find an existing home that will meet all your needs a new home might be a possibility. The Orchards at the Farm is two, three, and four bedroom townhomes. There are a number of different floorplans, many of which feature first floor master bedrooms, large lofts, screened in patios, garages, and more. Many of these townhomes also feature wooded and lake views. Sunrise Villas at The Farm is located off the International Drive entrance of The Farm at Carolina Forest. These two and three bedroom units all feature garages, large master bedrooms, and much more. The Home Owners Association has done a great job enforcing the rules and regulations in The Farm at Carolina Forest. It is a great looking, family friendly neighborhood that offers a number of great amenities while keeping HOA fees to a minimum. The iCare Group is the management company in The Farm at Carolina Forest. We specialize in The Farm at Carolina Forest real estate. 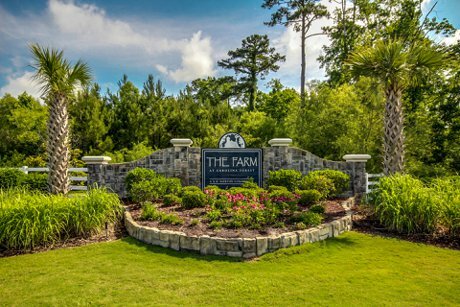 For additional information about The Farm at Carolina Forest homes for sale including floorplans, a community site plan, covenants and restrictions, and more please contact Beach Realty Group at 843-424-6900 or email us! If you like The Farm you can also check out Berkshire Forest and Tuscany. Listing courtesy of Keller Williams MB S. Realty , Jane Zheng. Listing courtesy of Century 21 The Harrelson Group , Efi Shahar. Listing courtesy of RE/MAX Southern Shores , Melissa Fedock. Listing courtesy of RE/MAX Southern Shores , Dan Ober. Listing courtesy of Palmetto Coastal Homes , Tonyia Stogner. Listing courtesy of Realty ONE Group Dockside , Alissa Carpenter. Listing courtesy of Myrtle Beach Premier Propertie , Stacey Porfilio.